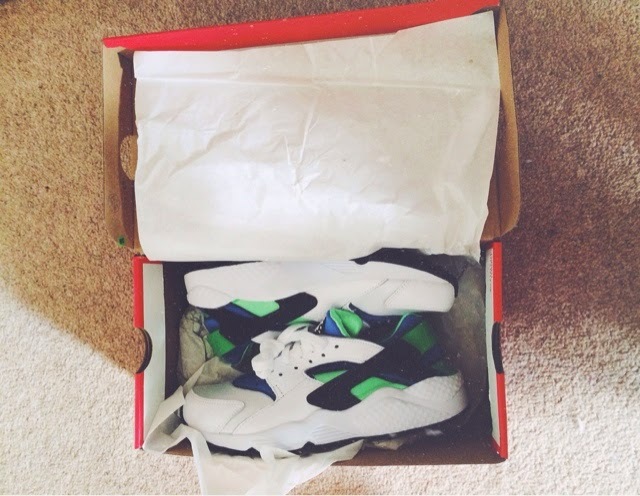 So yesterday I recieved my amazing scream green huaraches. I ordered these online from size and being a massive sneaker head I fell in love with them instantly. White black green and blue, aren't they amazing. 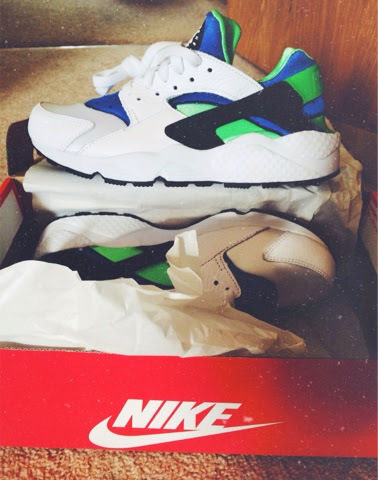 They originally came out in the 90's and I love nike some much for bringing these back. I have size 6 feet and I would suggest to try before you buy as they do come up small, I normal fit a size 5.5 in nike but these 6's are tight as I established when I was shopping a few weeks back when I tried some on in JD sports. 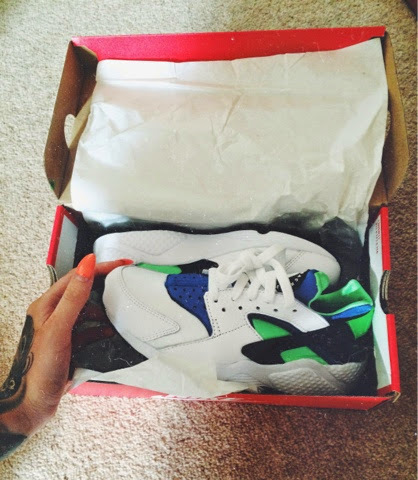 I love bright colours and these stand out so much, even though we are nearing autumn I still will always love my brightly coloured trainers.